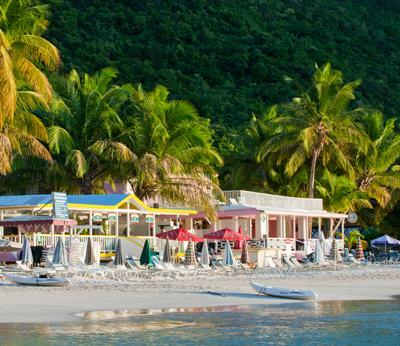 For those times when you feel like setting foot ashore, whether it's to sample the BVI's best "pain killers", fresh local lobster, resident singers/musicians, parties or stunning views, check out our top 5 must visit hot spots. Cheers to all of these local gems! The Rock Cafe Enjoy the unique and natural open-air setting of this scenic hideout, located between the Baths and Spanish Town on Virgin Gorda. 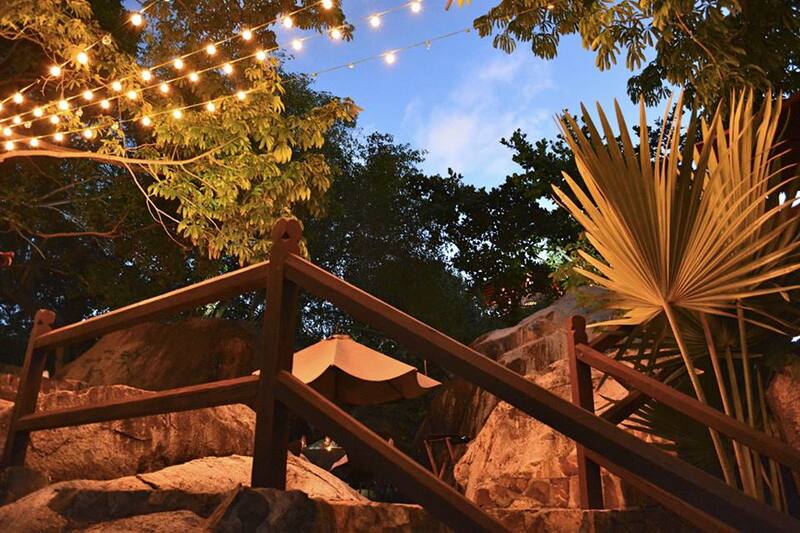 Serving authentic fine Italian and Caribbean cuisine, the tables are set in an outside courtyard surrounded by boulders, waterfalls and a lush garden. They even have a separate outdoor pizza oven where fresh thin crust pizzas are made to order. 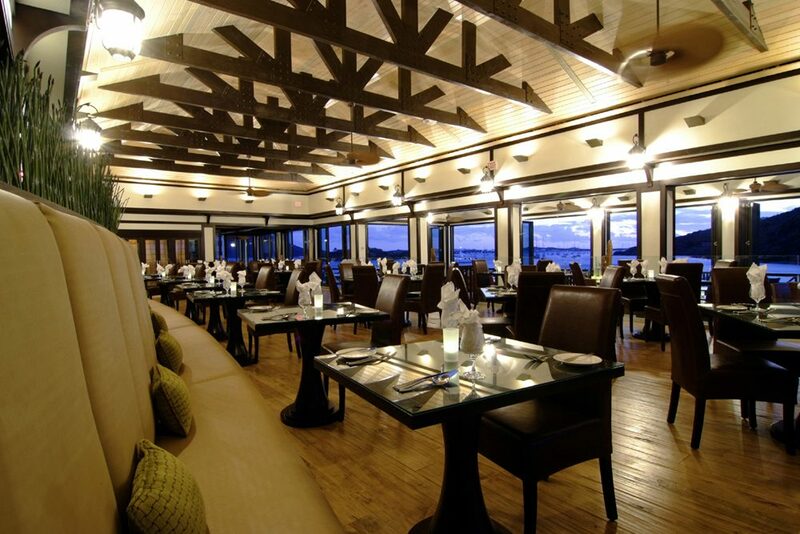 This casual restaurant caters for families, couples, and even private parties looking for a night to remember. The Rock Cafe Saba Rock Saba Rock is a one-acre resort, restaurant, marina and gift shop consistently recognized as an iconic destination in the British Virgin Islands frequented by sailors to celebrities. It is situated among the cluster of serene, scarcely inhabited islands that form the North Sound of Virgin Gorda in the British Virgin Islands. The North Sound neighborhood consists of Richard Branson's exclusive Necker Island and the private Island of Eustatia with the surrounding pristine waters of Eustatia Reef – a snorkeler's paradise. The restaurant is open air and serves fresh seafood and meats. Tip: try the signature fish and chips from the pub menu! Saba Rock Scrub Island Resort Scrub Island Resort is on a private island and home to the upscale Caravela restaurant. Savour the tastes of gourmet cuisine that focuses on locally grown produce - herbs, vegetables and fruit - and local Caribbean seafood like Anegada Lobster, Conch, and Tuna. Caravella Restaurant at Scrub Island Resort Quitos Gazebo Go to popular beach bar and restaurant, Quito's, for the best "Pain Killers" (topped with cinnamon instead of nutmeg) in the BVI's. Kick back with your concoctions and watch the sunset from the upstairs dining area listening to Reggae recording artist Quito Rhymer, after whom the beach bar and restaurant is named. You can hear Quito play Tuesday through Saturday. Expect to find Caribbean classics like jerk chicken, barbecue ribs, mahi mahi and pulled pork on the menu. Located in Cane Garden Bay. Contact Info: (284) 495 4837, oleworks@candwbvi.net Foxy's Taboo Soon to celebrate its tenth anniversary, Foxy’s Taboo has become a popular lunch spot for both power boats and sailors who come to enjoy an alternative menu and the bubbly pool. 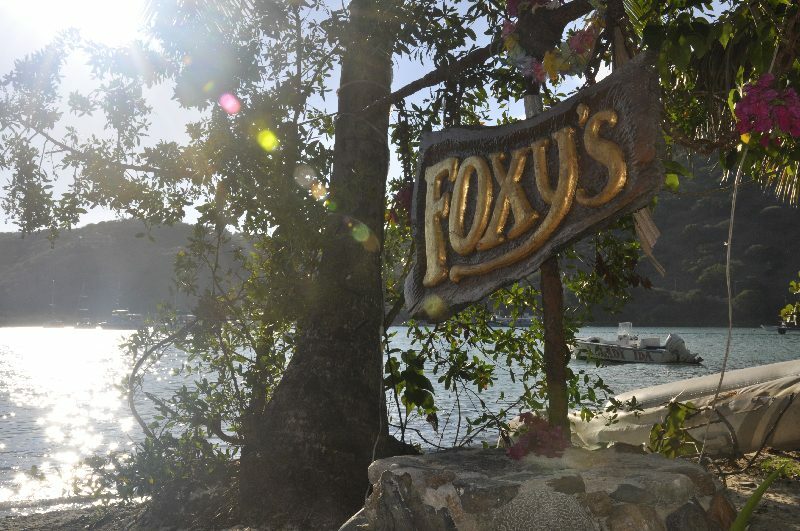 Located in Diamond Cay on Jost Van Dyke this is a smaller, more subdue restaurant from the Foxy enterprises. 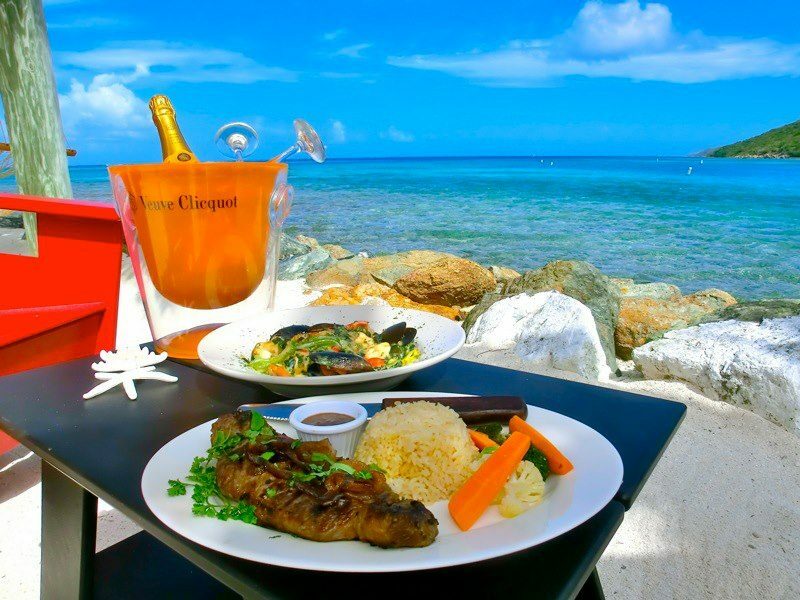 Serving up delicious Caribbean cuisine this is one restaurant to definitely visit when vacationing in the BVI's. Foxy's Taboo To book a yacht and join The Yacht Week in the British Virgin Islands, click here.